You're grabbing a cup of coffee anyway. You might as well make it a free cup of coffee today. September 29 is National Coffee Day, and you're going to be extremely caffeinated. 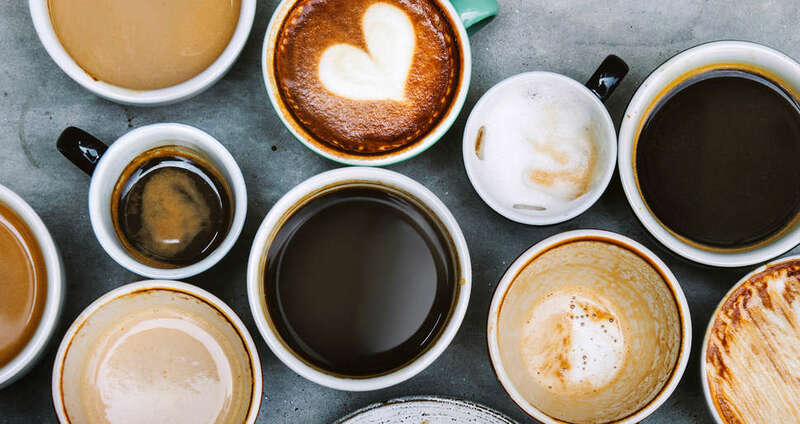 There are loads of places offering up free coffee for your morning commute or afternoon pick-me-up. In fact, the occasion is a perfect opportunity to get as hopped up on caffeine as Stan McNer. Because you're not asking for a free burger and just a simple cup of coffee, tons of popular chains -- Dunkin', Krispy Kreme, Wawa, 7-Eleven, and others -- are participating in the celebration of world's most important liquid (that's backed by science, probably) with free coffee, discounts, and other coffee deals. Of course, you should take some time to check out how your local coffee shops are participating as well. Below is our running list of all the places offering free and discounted coffee in honor of National Coffee Day. The deal: You're already stopping in, so you might as well participate in the National Coffee Day special. Buy a hot coffee, get one for free. Surprise a friend or get super jittery. Dealer's choice. The deal: Grab a free coffee of any size in celebration of the holiday. Plus, if you're a Rewards club member, you're taking home a free donut. The deal: The best kind of food holiday deal is one like this. Stop be Cinnabon, get a free coffee. No purchase necessary. The deal: Make a purchase and you'll pick up a free small coffee. You thought every day was Coffee Day, but Coffee Day is about free coffee. The deal: Locations across the country are offering a free tall hot or iced coffee. If you haven't picked up a new book in a while, this is as good of an excuse as any. The deal: Download the 7-Eleven app and you'll have 800 points dropped into your account. That's enough for a free medium coffee. That deal is ongoing. If you're dropping in for your morning breakfast sandwich on National Coffee Day ($2) you'll get a free coffee in honor of the bean holiday. The deal: Members of the Wawa Rewards program will get a coupon for a free coffee. Additionally, non-members can get any size coffee for just a buck through October 14 at Wawa locations in New Jersey, Pennsylvania, Delaware, Maryland, Virginia, and Washington D.C. The deal: Make Coffee Day last a little longer by taking advantage of the club's offer of free beans. All you have to do is cover the shipping and your first bag of beans is on the house when you use the code "AtlasCoffeeDay18." The deal: Any food purchase will come with a free coffee on National Coffee Day at the Minnesota-based chain. The deal: The car share company has partnered with coffee shops in Austin (Curvee Coffee), Chicago (Dollopv), Denver (Huckleberry Roasters), New York (Sweatleaf in Long Island City), Portland (Coava Coffee), Seattle (Top Pot Doughnuts), and Washington D.C. (Filter Coffeehouse). If you're a Car2Go member, flash your card at these coffee shops and get a freebie. The deal: Any size coffee or cold brew is gratis with any purchase. The deal: If you're carrying the myPilot app, you're getting a free coffee in any size. That includes cold brew and Flying J's new Pumpkin Caramel Macchiato. 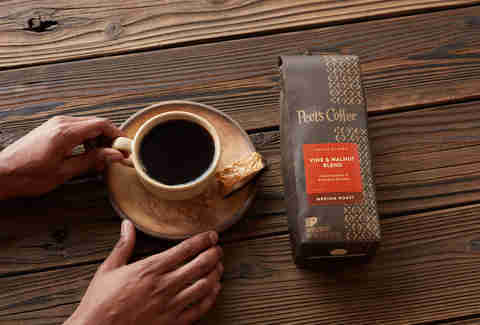 The deal: In honor of the caffeine holiday and PJ's 40th anniversary, you can get a free 12-ounce Ruby Roast hot coffee. The New Orleans-based chain also has locations in Arizona, Colorado, Florida, Maryland, Mississippi, South Carolina, Tennessee, and Texas. The deal: Download the QuickChek mobile app and they'll drop a coupon for a free hot or iced coffee in your pocket (or wherever you store your phone). The deal: The convenience store is offering free cold brew for anyone who orders through the Sheetz app. The offer is good for any size and any flavor cold coffee. The deal: Buy a cupcake and Sprinkles will offer up a free can of High Brew Coffee, a canned cold brew with a boatload of caffeine. You're on your way to the jitters! The deal: Purchase a food or bakery item and get a free 16-ounce hot or cold coffee. The deal: All 10 New York City locations are offering a pay what you want promotion for National Coffee Day. "The idea is that by offering customers the opportunity to pay what they please for their coffee, Birch hopes to help instill a stronger understanding and appreciation for the people involved in the process of getting coffee from the farm to the cup," the company said in a release. The deal: When you stop in and buy a pound of beans, they'll be 25% off and you'll get a free cup of drip coffee. If you're ordering online, use the code "COFFEEDAY18" to get 25% off "all regular, non-subscription, one-pound bean purchases." The deal: Feel the urge to give Bulletproof coffee a try? Grab a $1 cup at locations nationwide, including at the New York-based wellness retail store PREVIEW. The deal: Get a free can o' beans when you purchase four through its website using the code "5FOR4." The deal: The company's infusion pods let you instantly make cold brew coffee. With the launch of pods, you can get 50% off the American Starter Kit (the cup, an "Americano charge pod," and a Cinnamon American Charge) with the code "COFFEE." The deal: The subscription service that gets you the freshest coffee possible is offering $5 off your order with the code "CoffeeDay." The deal: Grab the icy Cappuccino Blast, a blended drink of coffee, milk, and ice cream, topped with whipped cream. You can get it for just $2.99 for a limited time. The deal: The San Francisco-based cafe is offering $1 cups of brewed coffee all day long. The deal: Grab 50% off online orders of coffee beans with the code "ALOHACOFFEE." The deal: Grab a $1 espresso, cold brew, or drip coffee at cafes across New York City. The deal: The home of Hamburglar is offering free fries on Fridays and $1 sandwiches any day from now through September 30. Both deals can be found on the McDonald's mobile app. The deal: Sign up for the Shmear Society Rewards Program, and you'll get a free bagel. The deal: To celebrate the return of the Panda's Honey Sesame Chicken Breast, get $3 off any online order of $5 or more with the code "HONEYISBACK". It's not free, but it's better than Bee Movie. The deal: All month long, you're getting 10% off your order and a chance to win college football tickets when you use the code "SUBABOVE10".